Thank you for your interest in the Department of Visual Arts at the University of Mount Olive. The Department of Visual Arts’ mission is to provide educational opportunities that will enable our students to become competent in the theory and practice of visual art. The department will emphasize technical proficiency, conceptual understanding, increased awareness of the student’s artistic talents, and the role of the arts in society, including experiential learning and interdisciplinary opportunities. Our departmental faculty provides a diversity of expertise and experience, which we share with our majors through anecdotal discussion and classroom skill development. All Visual Arts majors take fundamental core courses in drawing, painting, design, graphic design, photography, and art history. Recent renovations to our visual arts facilities have provided our department with four newly defined multi-purpose studios, a ceramics studio, and an additional lecture room. There are also two fully updated digital media labs available 24/7 for all visual arts students. 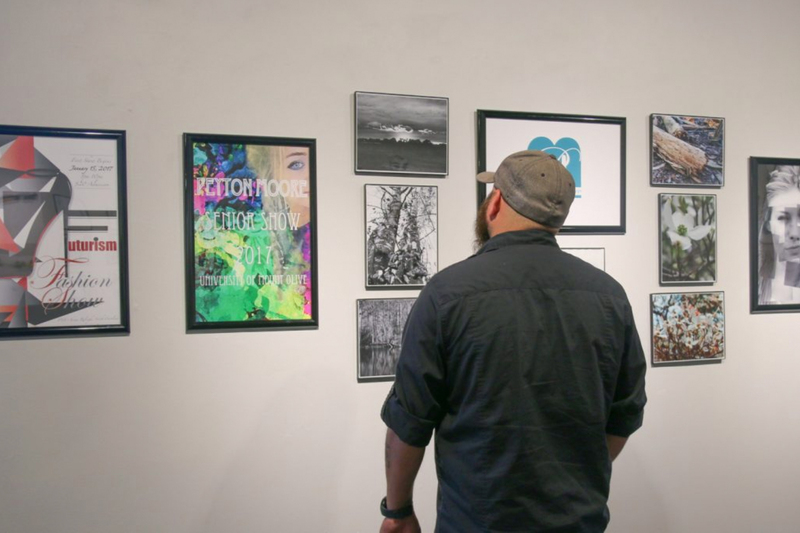 CHECK OUT SOME OF THE FANTASTIC WORK FROM OUR DEPARTMENT OF VISUAL ARTS BY CLICKING HERE. Our department is small and our majors and art faculty are close-knit as a department. Our class sizes are also small, and one-on-one instruction is the rule rather than the exception. Our faculty encourages interaction with our majors even if students are not in a specific class with a faculty member. Our studio class sizes range from six to nine students on average. This degree is designed for the student interested in working in fine arts or entering graduate school in studio art. Students majoring in art will take courses in design, drawing, painting, photography and art history. This degree is designed to prepare the student to enter the photography profession or to go on to graduate school. Photography students will study technical aspects of digital photography, history of photography, and digital imaging. 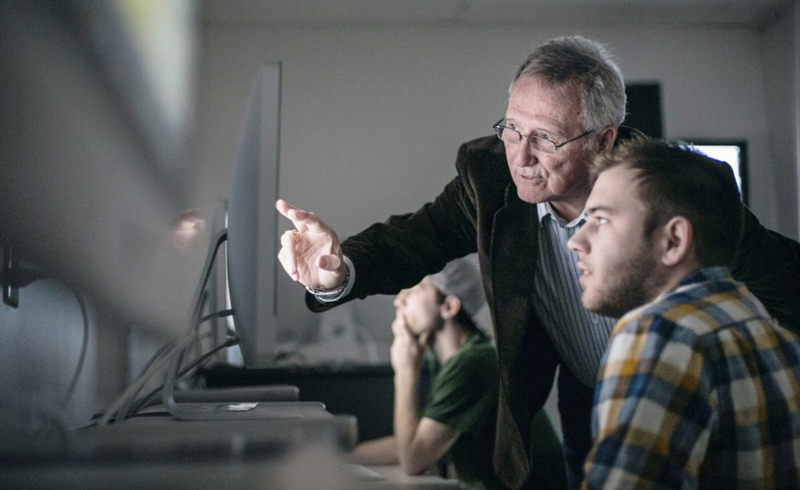 This degree is designed to prepare the student to enter the graphic design profession. The main areas of study within the program are typography, graphic design, digital imaging, illustration, and the history of graphic design. We also offer minors in Art, Graphic Design, and Photography. To minor in art, a student must complete 21 semester hours with no grade below C in the minor. Required minor courses are ART 115, 121,122,221,222,252, and 255. 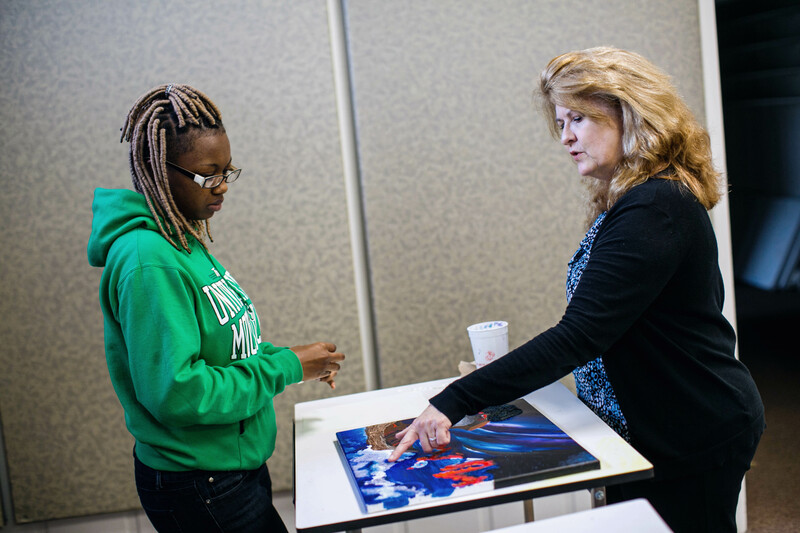 Students interested in a minor in art must confer with the department chair to declare an art minor. To minor in graphic design, a student must complete 21 semester hours with no grade below C in the minor. Required minor courses are ART 115,132,142, 232, 235, 331, and 434. Students interested in a minor in graphic design must confer with the department chair to declare a graphic design minor. To minor in photography, a student must complete 21 semester hours with no grade below C in the minor. Required minor courses are ART 142, 235, 241, 254, 335, 345, and 441. Students interested in a minor in photography must confer with the department chair to declare a minor in photography. We offer internships to advanced students. We are continually searching for internship opportunities as well as internal, departmental internships. We offer scholarships to students who show good progress and dedication to their major. Scholarships are in values of $500, $1000, $1500, and $2000. Students must maintain good academic standing in order to keep scholarships.